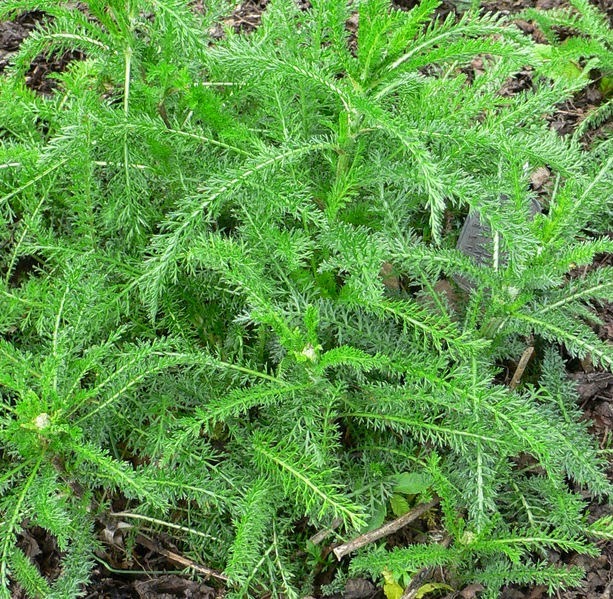 Daun seribu or Achillea millefolium. Habitat: It grows well at altitude 900-1500 m above sea level. Description of the plant: Herbaceous (grass - grasses) 15-50 cm high. Pinnate leaves, the vegetative period, forming a rosette of leaves grows, because the stem has not appeared on the ground, the width of the leaf is only 2 mm. Flowers on stems formed umbrella reddish or white, yellow tube, at the time of flowering stalk grows fast so it looks ruasnya elongated. The fruit is small and the skin is not broken. Chemical Ingredients: Akhileina; Stakhidrina; Kholina; Polina; apigenin; inulin; flavones; Benzaldehidsianhidrin glycosides; Tanning substances; asparagine; Fatty oils. Efficacy: diaforetik; antipyretic; diuretics; hypotensive; Antiseptic. 1 tablespoon honey, A daun seribu 1 tablespoon finely ground; stirred both into one, drink 3 times a day; every time you drink one cup; every day should eat papaya fruit.